"I like Dr. Goldstein very much. He gives you his full attention and explains everything well!" "Dr. Goldstein is very approachable & knowledgeable." "Dr. Goldstein was excellent!! Very thorough, friendly, and took the time to explain things." "Dr. Goldstein was a very caring doctor. I will recommend he to all my friends and family. 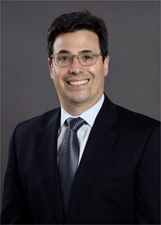 Great dr."
"Dr. Goldstein is a skilled clinician who is amazingly approachable." "9. +++. 10. Definitely. " "I was very pleased, with this doctor. This was set up through my moms asst. living facility - it was the first time using Dr. Goldstein." "Dr. Goldstein is a excellent doctor and a caring person who helped me get through my surgery." "Considering having the other leg done." "Dr. Goldstein was very thorough about explaining my condition." "Dr. Goldstein is a smart addition to your staff - Knowledgeable, kind and talented." "I felt comfortable. The doctor very respectful a kind person. I didn't feel much pain with the operation. I didn't have to use the medication after very good. " "Overall very impressed. This Dr. took the TIME to actually read the forms I had filled out prior to seeing him"
"(Great 1st visit) dr. & staff. #4-8. All good. " "Care provider answered all questions & was sensitive to my needs."